A DELEGATION of Irish politicians are due to arrive in Egypt today to raise the case of Irishman Ibrahim Halawa, who has been incarcerated for nearly four years. Mr Halawa, 21, has been in the prison since the summer of 2013, when he visited family in Egypt with his sisters Somaia, Fatima and Omaima. At the time, the north African country was in a state of unrest; President Morsi had been ousted and it stirred up violent riots. The siblings took refuge in a Mosque in Cairo when Ibrahim, then aged 17 having been born in the Coombe hospital in Dublin in 1995, was arrested alongside his sisters. 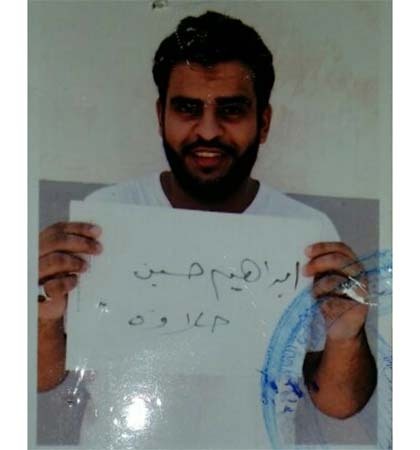 While the women were released from prison in November 2013, Ibrahim Halawa remains imprisoned almost four years later. He is being prosecuted alongside 494 co-defendants in mass trial for his alleged participation in the political protests in 2013. His trial was delayed for the 17th time in December, and is scheduled to take place next week, January 17. The delegation from the Oireachtas led by Ceann Comhairle Seán Ó Fearghaíl TD, will visit the Arab Republic of Egypt at the invitation of H.E. Dr Ali Abdel Aal, Speaker of the House of Representatives of Egypt. "The purpose of the visit is to raise the case of Ibrahim Halawa, who is on trial in Egypt since August 2013," a spokesman said. "As well as discuss parliamentary relations and foster bilateral cooperation in the areas of foreign relations, communications, agriculture, trade, transport and tourism." The programme for the visit includes visiting Ibrahim Halawa during their stay in Cairo, as well as meetings with the Egyptian President, H.E. Abdel Fattah El Sissi, the Speaker of the Egyptian Parliament, the Minister for Trade and Industry, the Minister for Communications and the Secretary General of the Arab League. The delegation consists of Ceann Comhairle and TD Seán Ó Fearghail, Darragh O'Brien, Fianna Fáil TD, Colm Brophy, Fine Gael TD, Brendan Howlin, Labour TD, Paul Murphy, Anti-Austerity Alliance and People Before Profit TD, Eoin Ó Broin, Sinn Féin TD, Eamon Ryan, Green Party TD, and Noel Grealish Rural Independence Group TD. The delegates' trip will conclude on January 13.